Greta Thunberg, a 16-year old Climate Activist asserted “I want you to act as if the house is on fire, because it is.” She wanted to underline the urgency of climate change and the idea that we need to act and act fast. 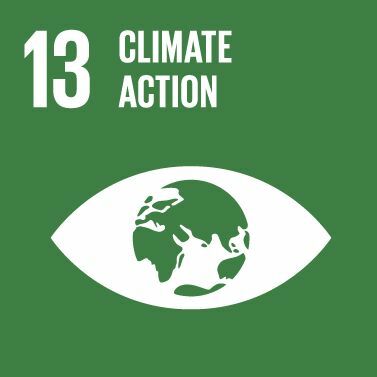 As a response to the increasing threats of climate change, Impact Hub Harare hosted an SDG: Climate Action Debate on the 20th of March as part of its ongoing effort to raise awareness & create a community of changemakers. To get the conversation going, we brought together a panel of experts across sectors including but not limited to government, law and private consultancy. The main theme throughout the night was a call to action. Mr. Mugadza, from the Environmental Management Agency (EMA) opened up the discussion with the definition of climate change and its effects. He noted that climate change is attributed directly or indirectly to human activity that alters the composition of the global atmosphere. Some of the effects include flooding and land degradation. Mugadza concluded his presentation by highlighting some of the work EMA is undertaking to mitigate the effects including catchment management and emissions reduction. Annah Brazier, a climate action activist and consultant alluded to the urgency that Thunberg so passionately iterated. Brazier spoke about how at this point we are past solutions and should focus more on responses. She focused on climate change adaptation and the importance of putting plans in place in the event of extreme and sudden changes. The statistics she offered are beyond alarming. For example, in the next 11 to 31 years if transport emissions don’t drop by 30% and carbon emissions by at least 80%, most places in Zimbabwe will be inhabitable due to extreme heat. It is sad that although developing countries contribute the least to carbon emissions, they are the most affected by climate change and extreme weather conditions. Sisdel Vognsen, a representative from the United Nations Development Programme (UNDP), talked about a new climate economy in which the world is working towards a more sustainable source of energy. The world has moved away from fossil fuels and is now focusing more on renewable and sustainable energy. The sustainable energy sector has created more than twice the number of jobs as compared to fossil fuels. To conclude her speech, Vognsen suggested using Wakanda as an example to strive for the kind of sustainable energy that can eradicate the consequences of climate change. Mr. Soza from Tree Knowers and Growers, an organisation that has a deep passion for planting trees across the country, spoke about their contribution to climate action. He explained how their organization focuses on planting, tendering and propagating trees in a bid to remove carbon dioxide from the air-a huge contributor to climate change. He also explained how they plant their trees from seedlings or shoots and explained different ways of doing so. Lenin Chisarira, from People and Earth Solidarity Law Network, reviewed the laws and policies in place to help Zimbabwe mitigate and adapt to issues of climate change. He explained that the policies are there and are actually very good but what lacks is enforcement. He appealed to the government representative who was in attendance to assist with the execution of these policies in order to ensure that Zimbabwe is both prepared for disasters and reduces the burden of climate change, especially on the most disadvantaged groups in society. To round up the panellists, Mr Tatenda Mutasa, a representative from the Climate Change Office at the Ministry of Lands, Agriculture, Water, Climate and Rural Settlement spoke about how their office is open for business and dialogue with regard to anything ‘Climate Change’. He also addressed the youth that were in the audience, emphasizing how important it is for them to reach out to the Ministry for financial assistance with their projects. Together with Joyce from E.M.A, he underlined the importance of organisations to have their house in order so as to hasten the process. The night concluded with a question and answer session which brought to light how it is important to come up with self-funded, sustainable projects to respond to the crisis and not just look to external influencers for support. There is so much we can all do internally, we just need to band together as a community. The night had to be cut short due to time but everyone in attendance agreed to continue the conversation in person, in their homes & at work. What are you doing to respond to the climate change catastrophe? Visit our website www.impacthubharare.net and follow and like our social media pages @ImpactHubHarare to stay informed about upcoming SDG Debates.